The Reloop RMX-22i is a 2+1 channel DJ mixer with digital audio architecture and integrated Instant Sound Color effects. 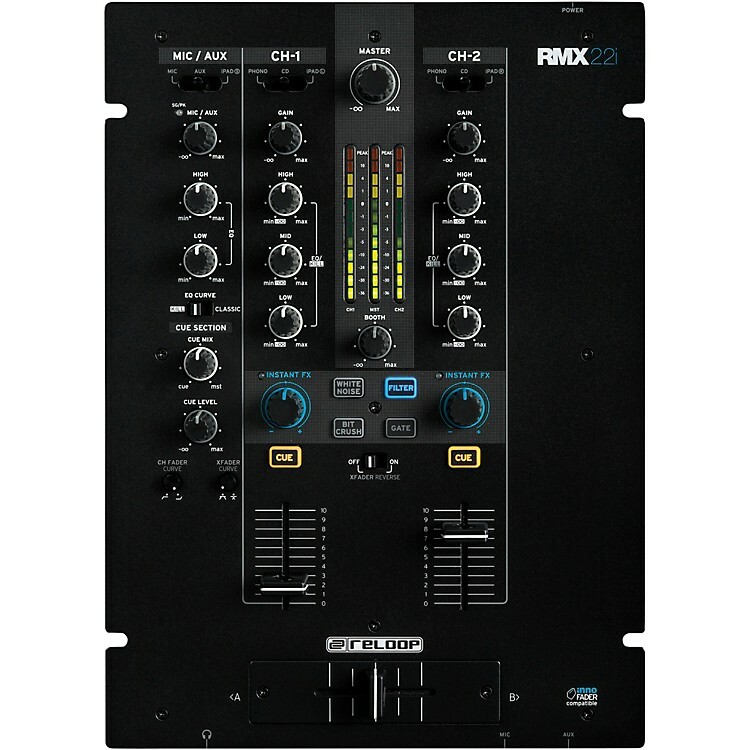 This compact club-style mixer benefits from the same high quality build and sound characteristics that are already found on the flagship RMX-80 Digital mixer. The supplied iPad split cable can divide the audio signal into two separate mono channels or delivers one stereo output. This connection method means DJ apps with split-cue function (like DJAY by Algoriddim) can be utlisied, as can the stereo output from production or sampler apps. The RMX-22i has four high-quality digital Sound Color effects built-in. White noise, Filter (low and high-pass), Bit Crusher and Gate can be assigned to the dedicated Instant FX potentiometers at the push of a button. The effects can be used for any channel and are modulated via a large, ergonomic bi-polar potentiometer to achieve exactly the sound you want. Order today and get a 2 (+1) that will rock the room.